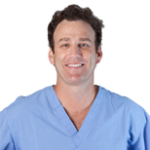 Dr. H. Keith Riddle Jr.
Home Doctors H. Keith Riddle Jr.
Dr. Riddle’s extensive LASIK experience dates back to 1996 where he participated in FDA studies. He has served as the Co-Medical Director of TLC Charleston and Co-Medical Director of Laser Vision Correction at Carolina Centers for Sight along the Grand Strand. Dr. Riddle received his medical degree from the Medical University of South Carolina (MUSC) and completed his residency at the Storm Eye Institute where he served as Chief Resident. He was then selected for a prestigious corneal fellowship in Laser Vision Correction and corneal transplantation at Corneal Consultants of Indiana. Dr. Riddle is a member of the American Academy of Ophthalmology, the American Society of Cataract and Refractive Surgery, and the South Carolina Medical Association. Dr. Riddle currently performs eye surgery at Laurens and Newberry County Hospitals. Dr. Riddle has participated in FDA studies on laser vision correction and has authored papers in leading ophthalmology journals.